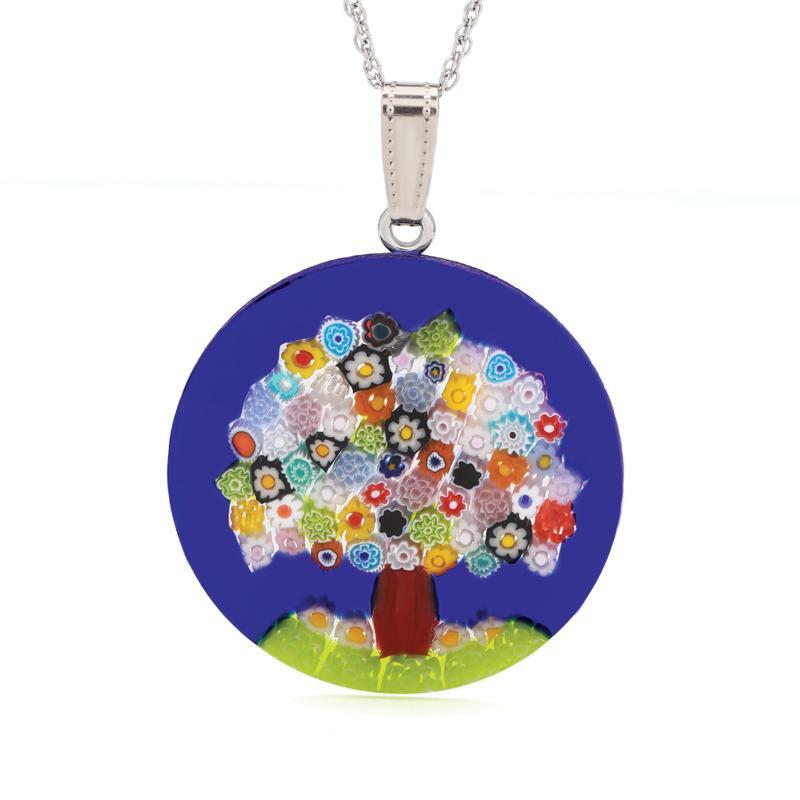 The Albero Della Vita Murano Collection celebrates the sacred and enduring symbol of the Tree of Life with the prestigious and rare glassmaking technique of Murrina. Exhibiting exquisite detail, with each flower meticulously handcrafted. This is not jewelry that comes down a conveyor belt in a factory– this is handmade artistry direct from Murano Island in Italy, with each piece being unique. When you treat yourself to a piece from this collection, you are indulging in so much more than beautiful jewelry, you're getting a piece of history that represents the imagination, ingenuity and expertise of the world's best craftsman. Don't miss this opportunity to wear the best of the best.